The following is the story of how Mirjam and I met and fell in love. It will take you approximately 45 minutes to read entirely, so settle in and enjoy (or read it in sections at your leisure). My dating history online isn't that long, but there have been few "interesting" people pass my way. And if anyone wonders why i went online, not to seek a future husband online, well there's several reasons. Here's few of them. I am from a country that has been labeled once as a least religious country in the world. So you can imagine there aren't many christians out there. And my number one requirement to a man is that he needs to know and love God. To have a relationship with Him. So yeah, if we take that information about christianity and how i am from a small country, add some demographic information that there's not many single guys my age left. Most are married, or divorced or well, not christian. Those few who still are single by the age of 25+ they usually are surrounded by girls at church. Like cheerleaders or their own personal fan club. And me, well i think i deserve better than fighting for a guys attention. So i decided to at least go see what's out there. After all, my world doesn't end with Estonian border, but i live in God's world. My history that has happened online, now looking back, is funny. But also a bit strange. And me sharing this doesn't mean these people have been bad, but just that, we weren't a good match! I am sure there's someone out there who fits well with these men. So there was one guy, who looked decent enough, was christian, well at least he said so. Yet he didn't really pay much attention to what he said, or how he acted. He liked too much to see other women half naked. And he also thought he'd fly me over to his country and that i'd stay there. Without even considering to come see me first. I quickly ended that friendship. There was another gentleman who really started out as a gentleman. Well mannered, nice looking, baptist background i think. ( can't remember all the details well). During video chats, we prayed together and read the Bible together. But then came the strangest and funniest thing that has happened to me! He figured that since i don't read KJV of the Bible and he does, that we wouldn't be "on the same page". I think he forgot that i was estonian who already is reading english Bible because of estonian poor translation. So i gladly agreed not to be on that page with him. Reading King James is harder than Shakespeare to me! And to ask me to do that, well just a bit too much i think. With every guy who showed interest in me, i had some questions i asked them. And with some, i also let them speak to my pastor. If they can get through him, well then they sure look good. But also, it's important to really ask hard questions. Be it biblical theology, or small things like can you handle my health issues or my challenges. And that's what i've shared with Peter early on. Just to save us both time and heartache in case either of us couldn't deal with anything the other had to share. So far, well he is still here! And has made me a happy girlfriend by now! For me it all started at Dad's birthday party in early-April 2015. My brother Stephen and I were talking over the barbecue and he asked me a random question: "Have you ever considered online dating?" (I was 29, single and had never had any sort of romantic relationship, so it was a valid question I guess). I responded that I had considered it in the past, but quickly dismissed the idea as I didn't think my ideal woman would be the sort to have an online dating profile. That was the end of that conversation. However the question stuck with me over the next few days and I started seeing (or noticing) ads on TV for dating websites. I decided to do a bit of research into the different dating websites to see how much they charged, how they worked, how they compared to each other, etc. I created a spreadsheet and started researching. The main three websites I was looking at were RSVP, eHarmony and Elite Singles. There were some others too, but they seemed to be either US-based or just didn't have that many people using them. I quickly decided against RSVP as they allowed anyone to browse the online profiles (and me being the shy type didn't want my friends/family looking me up online). I also ignored Elite Singles as it was fairly expensive. That left me with eHarmony, which looked pretty good. 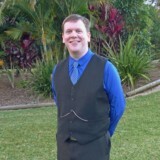 I created an account on eHarmony in mid-April 2015 and thus began my online dating experience! I decided that I was doing this to help God introduce me to my future wife, but if He didn't want to use online dating to do that, then this was just going to be a learning and growing experience. I also decided that I wasn't 'online dating' so much as 'online looking' - real dating happens in real life, so this was merely a way to meet someone. I quickly started getting matches based on eHarmony's matching algorithm, though most were not local to me. I 'met' (online) a few nice girls through the site, a few of whom I was quite interested in, but nothing worked out long-term. In early-May I was sitting next to Andrew (my pastor) at my brother James' wedding reception, and so mentioned my online dating exploits. We talked about it for a bit, then Andrew mentioned a book he had read recently called 'The Rosie Project'. It was a comedy about a professor who created 'The Wife Project' - a questionnaire designed to help him find the perfect partner. Rosie was a woman who failed the questionnaire but still managed to have a significant impact on the professor. Andrew soon lent me the book and I loved reading it. Afterwards, I started thinking about how cool it would be to have a dating website where you were matched with people based on their answers to questions you chose. I started planning how I'd build such a website, before I realised someone had surely done this before already. I therefore started looking around and finally found OkCupid - a free dating/friendship matching website based around this exact system of questions and answers. I signed up based on my interest in how this worked, and also because I didn't seem to be having much luck on eHarmony. So i signed up at one point to OkCupid site. It was one of the best ones i found ( i know because i like to do my research). Yet, it isn't entirely christian, but i did find christians there. After each encounter with different people, i deleted my previous account, so they wouldn't come stalking or something. Just to be safe. Girls have to keep themselves safe online. OkCupid was quite a bit different to eHarmony. The quality of matches on OkCupid was significantly less than eHarmony (presumably because you didn't have to pay to register) and I had to review matches much more carefully as they weren't as particular about my preferences (like being a Christian, etc.). Regardless, I found a few interesting girls on there, but couldn't get any of them to reply to my messages. I eventually started expanding my search parameters to find anyone around the world who was interested in me (because apparently nobody nearby was). Still nothing. Then one day (on the 26th of May specifically) I saw that someone had viewed my profile (but hadn't messaged me). Out of interest, I looked at her profile. She was Christian, from Estonia (where's that? ), my age, attractive, and (based on her profile) sounded interesting. Another plus was that her profile stated she was looking for someone 'located anywhere' (i.e. worldwide). Her profile also stated that she was an old-fashioned girl who wanted the guy to make the first move. I decided to message her, and re-read through her profile to work out what to say that would be interesting enough to get her attention. I noticed that she liked listening to soundtracks (I love soundtracks! ), so wrote a message introducing myself and asked about what soundtracks she liked listening to (explaining that I also liked them and gave some examples). Well, that apparently was enough to get her attention, so we started chatting back and forth from there. At this point I didn't know her real name as she had decided to use an alias to protect herself online (a wise decision). Also, I will admit that I had my reservations about meeting a woman online from Estonia. Alarm bells were ringing, what with all the scams you hear and read about. But I proceeded with caution and we got to know each other better through messages via OkCupid's website. She eventually told me her real name was Mirjam (pronounced the same as 'Miriam') and, based on what else I knew about her, I was able to do a Google search and found her Facebook profile. This was the main thing that made me realise she was really who she said she was (since she hadn't given me her Facebook address herself) and the photos of her on Facebook were all of the same, beautiful woman (another plus). We eventually moved communication off OkCupid's website and started emailing each other directly. Multiple emails were sent back and forth each day, and I don't think there was a single day since we started chatting where we didn't receive an email from each other. We also started sending each other photos and also videos. The first video I received from Mirjam was a surprise: she included a link to a YouTube video in an email saying it was for me. I thought it was just a music video or something she thought I'd like, but when I started watching it I realised she had filmed it herself and I got to see and hear her! Needless to say I found her accent adorable (although strangely not as heavy as I was expecting), and loved seeing her for real. Peter sent me a video one morning. Well not a morning to him, but sent me a video that i received first thing in the morning. Where he told me, that if i don't mind then he'd love to come visit! And me, half awake, with coffee watching that video in my bathrobe. And immediately sent him a picture of my surprise and joy! That was basically a month after the first contact. So soon, so awesome, wow! He'd travel the world for me!??? Whoaaa! What did i ever do to deserve such blessings and kindness and affection! Well certainly he had started to win my heart. Slowly, but surely! Also we discussed, when he could come, what we'd do here (which you can read below what we did then), and where he'd stay and who to meet and all the small and big things. We had previously discussed the possibility of meeting, since a real relationship can't happen just online. Also, Mirjam wanted whoever she started dating to meet her parents, pastor and/or friends, and I thought this was an admirable request. 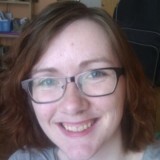 When I discovered that Mirjam's birthday was coming up in August, I started planning to visit her in Denmark (where she would then be studying at Bible college) as a birthday present. In looking at flights I started to realise how difficult it was going to be. I'd have to fly into a separate town, then organise transport to where she was (no airport there), she'd be at college and likely unable to spend much time with me, and all the people she wanted me to meet were back in Estonia. So I then started looking into the possibility of meeting her in Estonia before she left for Denmark. Since a surprise first meeting wasn't a good idea (thanks Dad for talking me out of that), I decided to tell Mirjam about my plans in a video (since I hadn't yet sent her a video of myself). It was well received! We both agreed that a visit in Estonia would be better and so started planning my trip for late-July/early-August. Mirjam would have finished work then (so would be able to spend all day with me) and was having a farewell party at her church then too (so that was a good chance to meet her friends, etc.). We started researching flights, accommodation, etc. and eventually booked everything (thank God for credit cards!). I would arrive late Friday night, we'd have 4 days together, then I'd leave late Tuesday night. I probably could have organised to stay longer, but since it was just a first meeting and we didn't know how things would turn out, I figured it'd be better to leave wanting to stay longer, than have to stay wanting to leave. We also started planning what to do each day we had together. I did up a spreadsheet and we starting trying to work out what to do when. Mirjam had so many things she wanted to show me or do together, but with the limited time available we had to make some decisions and leave some things for 'next time'. One of the important things we wanted to do was have me meet Mirjam's parents. She suggested I email them (through her) asking to come and meet them for dinner one night, in Estonian (since they don't speak English). So I typed up a letter to them, ran it through Google Translate, and sent it to Mirjam for proof-reading. She corrected a few things and then sent it on to her parents. They were impressed and said they'd love to have us over for dinner. So we booked that in and added it to the spreadsheet. Since I have my own business, I didn't want to leave my clients high and dry if something went wrong while I was away. I also wanted to have some sort of internet access while killing time in airports (so I could email Mirjam, Mum & Dad, etc. ), so I took my small netbook with me (my laptop is way too heavy to travel with). I also didn't want to be without a phone while overseas, but wasn't going to take my smartphone with me (roaming charges, chance of getting lost/stolen, etc. ), so I found an old Nokia flip phone and decided to take that. I bought a TravelSIM card from the post office which gave me an Estonian phone number (what are the chances of that!?) and my emergency phone was set. I also got a Traveller Card from my bank which allowed me to load multiple different currencies onto the one card and then use that wherever I went. Guess who was at the airport several hours too early. Had a tea. Didn't help me to relax. There were thousands of thoughts running through my head. Not to mention all the time checking flight schedules and the time. How much longer? What will he say? Will we hug? Is he tired? Should i run to him, or be more reserved? What should i say? I should've worn something nicer and well a lot of other thoughts... You can imagine how much i worried in those hours. And when the plane had landed it seemed like forever until he finally came through the arrival doors. And we hugged and i took him to his hotel and went home. I understood that he was tired and wanted to rest. After all, he had travelled half the world for me altogether about 36 hours without much sleep. I gave him the space and sleep he much needed. Although yes i would've loved to go for a walk, or hang on to him, because i just couldn't believe this is real. He is finally here!!! My trip from Coffs Harbour to Tallinn, Estonia consisted of four flights in total: two short (~1 hour) and two long (~10 hours) with stopovers in Sydney, Hong Kong and Helsinki (~5 hours each). This was my first time doing a long-haul flight, first time flying overseas by myself and the first time being anywhere in the Northern Hemisphere. Needless to say I was slightly nervous about the whole trip, but planning it all out on paper helped a lot. I left Coffs on Thursday afternoon to a small farewell crowd of family members. The trip from Coffs to Sydney was fine (have done that a few times before), and then I had 4.5 hours at Sydney. I took the train from the Domestic to the International terminal, then settled in and waited to check in to my remaining flights. Luckily I was able to check my luggage all the way from Sydney to Estonia, and they gave me my three remaining tickets there and then, so that made the rest of the trip a bit easier. I went through security/customs, had dinner, then made my way to my gate to wait for my flight. The recharge station was full of people, so I instead sat on the floor in the corner next to a power point and used that to charge my devices. On the flight from Hong Kong to Helsinki I didn't plan to sleep, since it was during the day and I wanted to be tired enough to get a good sleep when I arrived in Tallinn. I therefore watched movies, etc. to pass the (long) time. I arrived in Helsinki just after 3pm local time and unfortunately had 5.5 hours to kill even though I was so close to Mirjam (100km). I wandered around for a while and tried to check which gate I was departing from but it was too soon to tell so I sat down and emailed for a bit. When I got up to check again, I found out what my gate number was and headed off to find it. That's when I realised I hadn't gone through security yet. So I did that and then found the rest of the airport! Then more wandering, dinner, sitting, emailing, etc. and finally flew out to Estonia! After 36 hours of travelling (and little sleep), I finally arrived in Tallinn, Estonia late Friday night. I made my way through the airport, collected my luggage (it had arrived too!) and then through the door to where Mirjam was waiting for me! We exchanged big smiles, hellos and a hug, then I followed her out to the bus stop to wait for a bus to my hotel. My first impressions of Mirjam were that she looked and acted just like she did in the videos and live chats we had shared previously (so that was good!). I was very tired and jet-lagged, and the whole experience of travelling, being in a foreign country halfway around the world and meeting Mirjam finally in real life was just so surreal. But we talked, laughed and eventually made our way to my hotel where I checked in, said goodbye to Mirjam (who headed home to her own place) and headed up to my room. Mirjam had previously told me that she had checked out the hotel that morning to 'see if everything is okay there'. What she had actually done was deliver an envelope full of letters to my room which was waiting for me. Each letter was to be opened and read at a specific time during my visit, so I enjoyed reading those over the next few days. The hotel room was nice enough: two single beds, desk, table, chairs, etc. There was a TV, but I barely watched it. I had trouble getting the fridge to work and had to phone down to reception who sent someone up. Unfortunately that someone didn't speak any English, so that was fun! Got it working in the end though. Because the winters are so cold in Estonia, all the buildings are very well insulated and don't have any fans or air conditioning. This means that the rooms get quite warm overnight in Summer even though the temperatures are mild enough. As a result I had a bit of trouble sleeping; waking up in a sweat or having to kick the sheets off in the middle of the night. But not too bad overall. One of the reasons we chose the hotel we did was because breakfast was included each day. On the weekends breakfast didn't start until 8am, so I woke up with enough time to make myself presentable and then head downstairs to eat. We weren't sure if Mirjam would be allowed to join me, so I ate alone the first day. Just cereal and toast (I missed my Vegemite) because I didn't have that much of an appetite (jet-lag, nerves, whatever reason). After breakfast I went back upstairs to finish getting ready, then headed back down to the lobby where Mirjam was waiting for me. I had brought presents for her with me from Australia, so gave her the first one which was a little Koala with an Australian flag bandanna, along with some other little things. She then gave me her first present which was a handmade scarf she had knitted just for me! We then headed off to explore Old Town. Old Town was amazing! You really feel like you're in a European city walking through it (which you are!). I had my camera so was snapping photos all morning. We walked through narrow streets and wide open marketplaces. Mirjam took me to various lookouts (view points) around the town where we got nice views of the old rooftops of Old Town and the modern city of Tallinn in the distance. 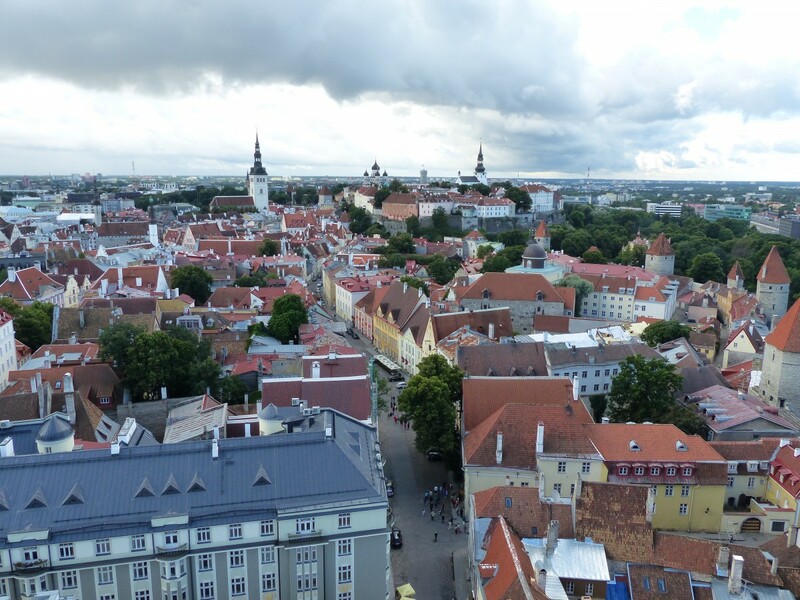 We stopped for morning tea at a cafe before heading to St. Olaf's Church where we climbed the church tower and took in more amazing views of Tallinn. Worn out after the steep climb up and down the tower, we had lunch, explored the harbour a bit, then headed back into Old Town for some souvenir shopping. In the afternoon we caught the train out to Mirjam's parent's house in the country where we were having dinner. I meet Mirjam's Mum and Dad and gave them a present I had brought with me - a hand towel with a Kookaburra embroidered on it. In return they gave me a nice block of smoked cheese. I also met Mirjam's siblings and their families, and we all had dinner together. Mirjam's Mum had previously asked what food I liked and so had cooked some beautiful salmon for us. Mirjam's parents didn't speak English, so some translation was necessary there, but her siblings did and so they were asking me questions and chatting a bit. We sat and relaxed a bit after dinner and Mirjam caught up with her family (her sister announced she was having twins!). It was great to meet Mirjam's family and to see her in their company. We then caught the train back to the city and Mirjam dropped me off back at my hotel before heading home herself. After previous night i wasn't quite sure what to expect. I totally understood that he was tired last night, and the warmness towards me that he had expressed in letters, might just take time to come out in real life. At least we were blessed with the weather, the whole time actually. And i took him to places where i'd take other tourists, or places that i love. First up was our medieval old town. Nothing much to see for me, but he certainly seemed to like it. Old cobblestone streets, nice view points and many places to take pictures. Then we headed somewhere to find lunch, because i was already so hungry. We ended up eating at a place close to the seaside and had pancakes for lunch. We wandered around a fish market and saw a building we call "Linnahall" which in translation would be city hall, but it's actually not. It's an old building that previously has been used for concerts, theaters, ice-hockey and other things. Right now it stands abandoned and is covered in graffiti and is slowly falling apart. And then we went to my parents house. Which is outside Tallinn. So we took a train there, it's about 30 minute ride. And then 3km walking from the train station. I could've asked someone to meet us, but Peter thought it'd be nice to walk. Walking it is. Gladly walk because then we get to spend more time together. That morning is one of the most memorable ones. It was supposed to be one really special day. So we did devotions together in the harbour. It was nice weather, he had a small laptop with him and we watched a sermon together. Yes it was hard to hear for some cars passing by, but being next to him, his arm around me, well life just seems perfect in small moments like this. And i wished the devotion wouldn't stop. But at one point it did. We got to my church early, as i usually go, since i am part of people serving there. I help prepare the church, be it toilet cleaning, arranging chairs, putting out small leaflets to chairs or anything else. That morning Shannon put me and Peter to greeting, at my usual post on the door. Which is normal for me. Also i was supposed to have like a goodbye party there after the service. I was so so surprised when some of my family walked in! They have never been to church before, well not with me at least. My sister with her son, and her boyfriend, then one of my brothers, and my older brothers girlfriend with her son (but my older brother didn't come). My parents didn't come, because i saw them the previous day. So yeah, had the service and it was really good one. I love having Peter there and being able to worship and hear God's Word together, it's just so nice! My party was also really wonderful. There were few moments where i felt like i had left him alone too long, but he seemed to manage. A lot of my friends were interrogating him with basics probably. Like where is he from and what's the plan etc. :) But he looked to manage everyone's questions. Also i think at some point during sunday he dared to hold my hand. Which was so good. I remember walking somewhere and asking him that does this mean we are officially dating. And he's like "no. I want to ask you properly". I laughed at that, because he was just being so adorable and such a gentleman! Afterwards, i think we stopped by his hotel, and then through my house. I changed a bit, because i wasn't feeling comfortable, and i wanted to make sure i was warm in the evening. And then we went on our date. The whole trip looked like date, but this one we officially agreed to be a date. To have some alone time after a lot of socializing. We had pizza for dinner (which was amazing). Nothing fancy. And then Peter wanted me to take him to one of the viewpoints again. I didn't mind. And there, oh how romantic that was. He asked me if i want to be his girlfriend!? Of course i said yes! And he asked me if he could kiss me, to which i said yes too. I don't mind sharing these details, because well he is such a gentleman and had treated me with respect and honor i've never seen before. That moment there, that he bothered to ask, that he thought of that, that is very dear and special memory for me! On Sunday morning Mirjam met me for breakfast at the hotel (the staff had said it'd be alright). So while I ate we exchanged more presents. I gave her a Bible and devotional journal I'd bought at Koorong, and she gave me a handmade 'Estonia' keyring. Mirjam's church service didn't start until midday, so we had plenty of time to kill. I grabbed my netbook (small laptop) and we headed down to the harbour and found a nice spot to have devotions together. As we sat together on a bench listening to God's word, Mirjam rested her head on my shoulder. It's moments like this I will always cherish. The message we were listening to was on making the most of the time we have available and numbering our days, which seemed quite appropriate to our situation. We prayed together afterwards, dropped my netbook back at the hotel and then headed off to Mirjam's church. When we arrived at church, Mirjam introduced me to her many friends and then got busy helping setup and prepare for the service. I also helped a bit, putting out pens and cleaning windows, then we had a prayer session and Mirjam and I went out to greet people at the door. Some of her family arrived for the service and her farewell party afterwards, so that was a nice surprise. Then the service started and I felt right at home. I should mention that Mirjam's church was started by missionaries from America and so everything is in English. Out of the three songs we sung, I knew two of them (and the third I even had stuck in my head the next morning when I woke up). They had announcements (during which Mirjam was prayed for and farewelled) and communion and then the message, which started with the trailer for the latest Avengers movie (the sermon series was on finding God in movies). After the service was Mirjam's farewell party. I had brought along the smoked cheese her parents had given me, since I wouldn't be able to take it home on the plane, and there was also jelly (at Mirjam's request) and other nice food. I talked to quite a few people, many asking about Australia and where I'm from. As people started leaving, Mirjam looked worn out and said she was hungry (not having eaten much at the party), so we headed off to a nearby cafe for a late lunch. On the walk after lunch I finally worked up the courage to ask to hold her hand, and we enjoyed doing that for the remainder of our time together. Mirjam had recently ordered a new mobile phone which was ready to be picked up, so we went to the shopping centre where she got that and then had to get a new, smaller SIM card to fit as well. Then we headed back to her place where she dropped off some things and changed for our date that night while I waited outside. Back at my hotel I did the same and then we went off in search of a romantic time together. After killing some time down by the harbour, we went to the cinemas and watched 'Paper Towns' which was quite good (and, thankfully, in English). After that we found a pizza place and had a nice dinner where Mirjam gave me yet another present: panda cufflinks. I was planning on asking Mirjam out officially during our date, but wanted a private place to do so, so as we were walking back through Old Town after dinner I asked her to take me to some of the lookouts we had been to the day before. The first one we came to was empty, so while we looked out at the view together I worked up some courage and then asked her if she would do me the honour of being my girlfriend. She said yes! We shared our first kiss and then I gave her a present I'd been carrying around all night: a watch set to Australian time. As we walked back through Old Town we decided to look for somewhere that sold ice cream for dessert. We found a place and sat outside under a blanket, eating home-made ice cream and enjoying each other's company as boyfriend and girlfriend. When we finally decided to head home, we realised that it was too late for Mirjam to catch a bus back to her place, so I offered to ride in a taxi with her (rather than letting her be by herself). Outside her place we said goodnight and she told the taxi driver to take me back to the city (in Estonian). As I drove back towards the city I realised that I didn't recognise anything and started getting worried that I was either being taken to the wrong place or being taken advantage of and going the long route home. But we finally arrived back at my hotel and I breathed a sigh of relief. That was until I tried to pay for the taxi and my card didn't work... The driver suggested (in basic English) taking me to an ATM where I could get money out, so I nervously agreed and we headed off. Thankfully I was able to get cash out, the driver took me back to my hotel and I paid him. Then it was upstairs and to bed. On Monday morning we again met for breakfast and exchanged presents. I gave Mirjam a scarf I had bought for her in Coffs and she gave me a DVD (an old, Estonian comedy) with instructions to bring it with me to Shannon's place that evening where we were having a dinner and movie night. The plan for today was to visit Tallinn's Song Festival grounds and the TV Tower. So off we went. 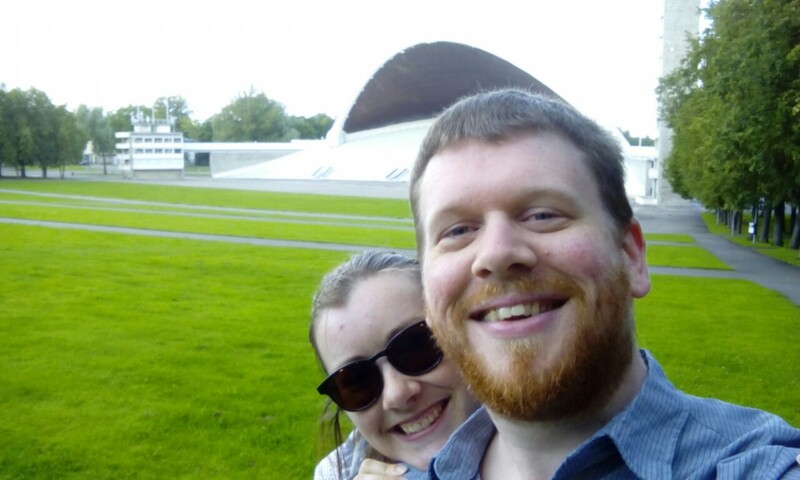 Tallinn's Song Festival grounds are an important part of Tallinn's history with many important events taking place there over the years, so Mirjam was excited to show me. We took some photos when we arrived and then headed up the steps to the back of the arch where the choir sing from. As we sat and enjoyed a moment together, Mirjam surprised me with another present - another DVD, this time a documentary of Estonia's history that she had mentioned to me before but that I couldn't find in Australia. I was excited to receive this DVD as I had been wanting to watch it and, considering the important part the Song Festival grounds played in Estonia's history, it was an appropriate place for such a gift. We then headed up to the top of the grounds where there were some stalls and I bought some souvenirs, before heading back down to catch a bus to the TV tower. Tallinn's TV Tower was a sight! There's a viewing area and cafe at the top of the tower that gives 360 degree views over the surrounding countryside. We enjoyed taking photos and then morning tea at the cafe. We browsed through the gift shop at the bottom before heading out to find lunch. Lunch was at a restaurant on the roof of a building in the city. It was a bit too windy outside, so we sat inside, shared a Caesar salad and then just enjoyed each other's company as we talked together and phoned our respective parents to tell them of our recent news (as if they hadn't seen it all online already). We left after about two hours as Mirjam needed to go shopping for groceries for dinner later that night (she was cooking for me at Shannon's place). We headed for Shannon's house and then waited for Kaili (one of Mirjam's friends who was also having dinner with us). Upstairs Mirjam started preparing dinner while Kaili asked me all sorts of questions (thankfully Mirjam had prepared me for this). Mirjam's dinner was a beautiful chicken pasta which I would have eaten more of if the first serving hadn't filled me up so much. After dinner we watched the Estonian DVD Mirjam had given me and then said our goodbyes to everyone. We decided to walk home as it was a nice evening and we wanted to talk a bit. I was feeling a bit down as the reality of my leaving tomorrow was starting to sink in and so we found a bench by the harbour and sat, talked and prayed together. Tuesday morning wasn't easy. Not only was I leaving tonight, but I had to pack up and vacate my hotel room. Thankfully Mirjam was there for moral support and I really appreciated her ability to put sad feelings aside and show me a good time all throughout the day. I was able to leave my luggage with the hotel to save carting it around all day, so did that and then we left for a bog walk (Estonia's version of a bush/boardwalk). The bog was beautiful. It was nice to spend time together in nature, even if it was the hottest day of the week. 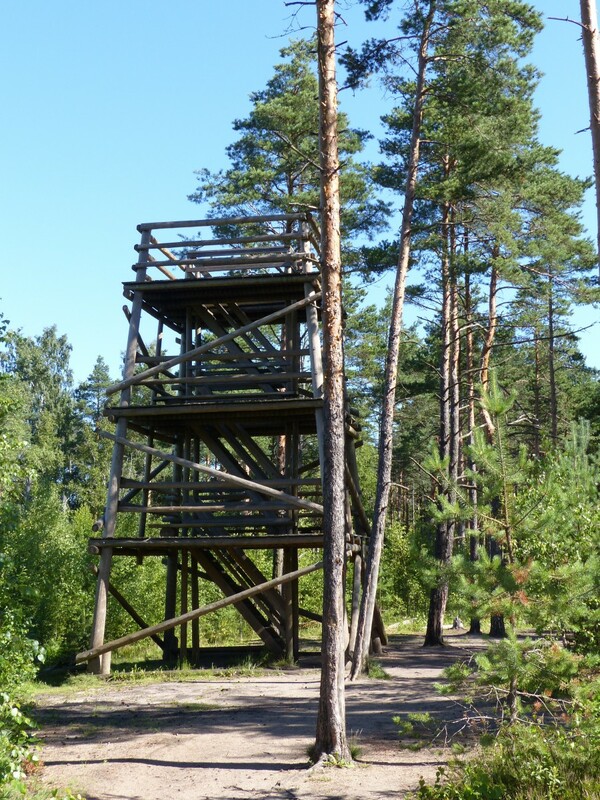 At the furthest point of the walk there was a lookout tower - a three-story, wooden structure built up above the tree line that gave nice views of the surrounding area. We sat up there together for about an hour with only the odd jogger passing by below us. This was another special moment I'll cherish with Mirjam during our time together and I think we both felt like staying there forever. When we finally did leave, we continued on through the bog and back to the start. We had lunch and then visited the seaside. The particular beach we visited was in a bay, which in turn is part of the larger Tallinn Bay. As such, there were no waves, which was a surreal sight for someone used to living on the east coast of Australia. We then took a long (and tiring, in the hot sun) walk along a walking/cycling track parallel to the shore. We ended up at 'Hesburger' (similar to our 'Hungry Jacks') where we had a nice, cold, tropical drink and then went and drank that on a bench in a nearby park. Mirjam then took me further up the coast off the beaten track and down onto a rocky shore where we explored for a bit before turning around and heading back into town. We stopped by the National Library of Estonia, but it was closed, so went went off in search of dinner. We found a nice restaurant where we had a burger each while we tried to check-in to my flights on Mirjam's phone. I was starting to get emotional (which for me means getting very quiet and shutting down), so after dinner we found a secluded place to have a talk and a prayer together. I really admire Mirjam's ability to put her own feelings on hold while she helped to take care of mine. It was then back to the hotel to pick up my bags and head off to the airport. After I checked in, we had some time to kill so just sat and tried to enjoy our last moments together. When it was time for me to head through security I just had to say one last goodbye and then walk off without looking back. It was one of the hardest things I've had to do; to leave the woman I love standing there, alone, not knowing when I'd see her again, but leaving her in God's hands. Flying home seemed quicker than flying to Estonia. Maybe I was used to it more, or maybe I was just lost in the thoughts and memories of the last few days with Mirjam. The trip home consisted of flights from Estonia to Helsinki, then to Singapore, then to Sydney and finally Coffs. At Helsinki I sat in Starbucks, had a drink and read messages from Mirjam. I also ordered flowers and chocolates to be sent to her in my absence. Then it was an 11 hour flight to Singapore. I didn't worry about getting as much sleep on the way home as I figured I could just sleep over the weekend in my own bed if need be. Ironically I got more sleep flying home than I did flying to Estonia initially. At Singapore I had 7 hours to kill, so tried to find an earlier flight to Sydney, but there were none available. So I just walked around, called Mum & Dad, messaged Mirjam and waited. While I was having dinner at Burger King I saw a Qantas plane out the window. It had 'The Spirit of Australia' on the side and the flying kangaroo on the tail. Sitting there, alone, in a foreign country, it made me miss Australia. Take me home Qantas. It was an 8 hour flight to Sydney, during which I watched 'Home' (funnily enough) and a few TV shows. Then a 5 hour wait in Sydney - I collected my checked-in luggage, made my way to the domestic terminal, went through security/customs and then waited some more. The final flight home to Coffs was short and ahead of schedule, so a few people who were going to meet me at the airport missed out. But Mum, Dad and Bobby were there to greet me. I think I was thankful though that there wasn't a big crowd, as I was tired, jet lagged and emotional. I stayed up until bedtime, then had a lovely 12 hour sleep. 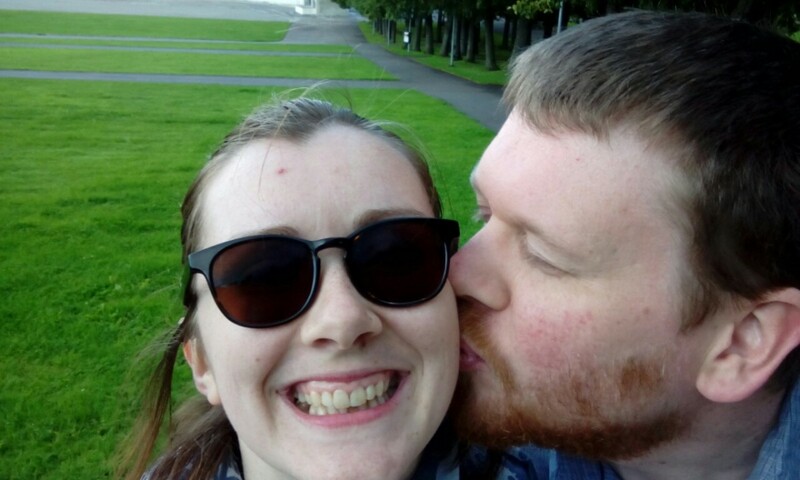 I met an Estonian girl online, travelled halfway around the world to meet her, and fell in love. Mirjam and I currently video chat at least once every day and continue to grow deeper in our relationship with each other. We talk, pray, read the Bible, watch movies, play games, ask and answer questions and generally get to know each other more. We're also praying about and planning the next time we can see each other. Hopefully Mirjam can come to Australia next to meet my family and friends, visit my church, come shooting with me, and see and fall in love with my part of the world as I did with hers. After having met Mirjam, I cannot see myself being with anyone else, so I remain prayerful of our future and continue to seek God's will for our lives and ongoing relationship. We have discussed marriage as something we both desire and are starting to plan for that. I thank God for introducing me to Mirjam and allowing me to fall in love with such a beautiful woman. I look forward to our future together and seeing what He has planned next for us! As i am writing this, it has taken quite some time to finish this post. It's the end of october. I haven't seen the one i love for almost three months. There are days when i cry, and there are days when i can handle the longing. I have equipped myself with tissues for those emotional days and he, well he is just the most amazing man i know. He is the most romantic guy i know actually. Sending me flowers, chocolate, handwritten letters and sometimes even gifts and packages. Even when i am in college and rather occupied i take time to answer his letters, and post them too. There's not much you can do together online to have "dates", but what we can do, is have quality time together. Be it watching movies, or reading the Bible together or watching a sermon. We make it a priority to take time for each other. These months have taught me so much. I can't run away, when we face disagreements or emotions. I have to sit there, in front of the camera and solve them. We learn so much about communication and also, so so much of patience! With each other, with communicating, time difference (currently 10h), and most of all, waiting. Few days ago, we got tickets for me to go see him. To Australia! Can you imagine! He got me tickets! And i have visa too. And although it seems unreal, that in Christmas i'll be there, that's what my tickets say! It's rather scary thinking about travelling 16000 km (more or less) to see your boyfriend, to be travelling alone. But for him, i am willing to that! We both have prayed long if this is the man/woman for me. I can't see anybody else being that one man for me. Before i met him, i had this list of things i expected from a man. And he, well let's just say he has exceeded and is beyond that list. I couldn't ask for more! I thank God daily for having so much support, encouragement, and not to mention the romance (that sometimes might look cheesy for others around me) from a man i have grown to love and honour and cherish! He is the best i could ever ask for and to dream together with him about future marriage, oh well... let's just say i'd be the happiest woman on earth! He can handle my emotional side, he supports me in prayer, he loves God, he sticks with me even when i am being unreasonable (as all women sometimes are). What else can i ask for? We are growing closer each day, we deal with issues as adults and talk about them and pray about them. I love that about us. That we solve things. And we don't finish our days being angry or upset with each other. Our future, well we dream of being married. Of course we don't know yet when, but that's the goal. To grow in our relationship with each other and God, to end up being married. Because i can't see myself with anyone else. Ever. To think that we've know each other since may and started dating in august, well yes to some it looks awfully quick to see decisions like that. But we do talk more than any normal couple who go out on dates. Because that's all you can do online. Which also grows our relationship faster. Right now our future, hopefully is marriage. We both want that. I have waited for a guy like that for a very long time and i will keep waiting, until i walk down the aisle and i can be his. Because the good ones are out there and are worth waiting for! People are asking sometimes, where you guys gonna live? Who knows? I don't. God does, and we pray about that. I am from Estonia, but live in Denmark at the moment. He is in Australia. And the world is open to us. Where we live is not yet decided. One day at a time, one step at a time. And waiting on God a little too. So this is the beginning of our story. There's ups and downs. There's laughter and tears, but oh how it is all so worth it! How when you fall asleep at night you know that he, on the other side of the earth, will see the same moon. He will see the same sun. At least we are on the same planet! :) We love each other and do our best to grow this relationship to one day be married.